Spending many hours sitting down can be hazardous for your health. One particular way to prevent any mishaps is through equipping your workspace with adequate furniture pieces. With over seventy years of experience, Savo Office Seating does not only focus on creating trendy breakthroughs through their pieces, but also constantly ensures them to be in the best form of comfort as possible. To this day, the Scandinavian company withholds the philosophy – “everyone has the right to sit as they please”, alongside their commitment to manufacture their products with recyclable materials to help save the environment. 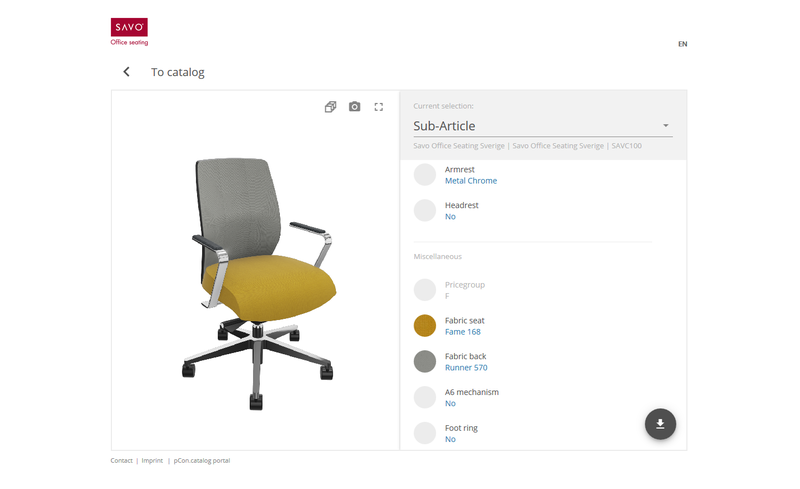 With its ability of being configurable data, their range of chairs are now available on pCon.catalog, to equip you in designing your dream workspace! Simply choose the chair you want, select materials and colors to your liking and download your chair to use it in your design. This entry was posted in 3D Models, Room Planning and tagged 3D model, pCon.catalog, Savo. Bookmark the permalink.